A sub-surface system of perforated pipes that effectively lowers the water table. Generally, many small pipes feeding into a larger main line, which feeds into a natural watercourse or ditch. The lowered water table will help your fields dry up quicker in the spring. 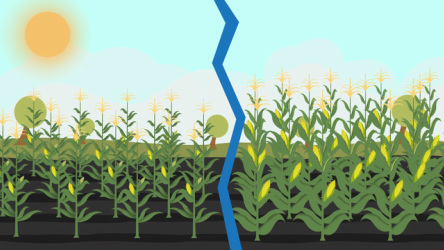 Getting a field planted on-time is shown to prevent significant yield loss. 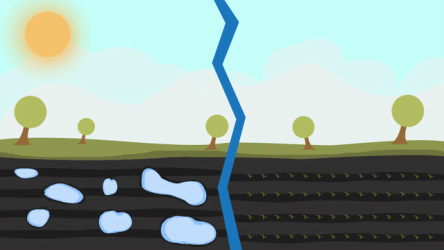 Tile drainage will lower the salinity level in your soil, allowing for deeper root penetration. 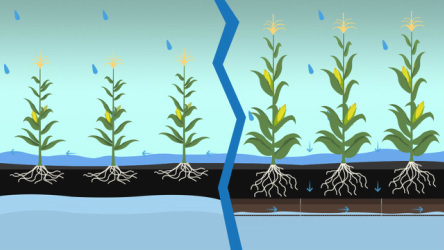 This will allow your crop to reach deep nutrients and moisture. 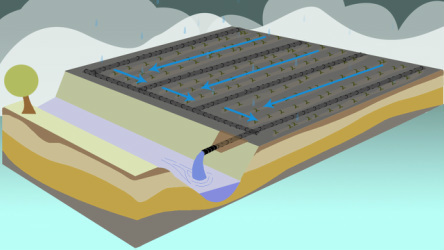 Peak flows in surface runoff are reduced by 20-40%. There are many benefits to tile which all contribute to an overall increase in yield. Many studies have tried to pinpoint what to expect for a yield increase, but there are so many factors that make each field too unique to give a precise estimate. Generally, trial results show a greater than 20% yield increase.